As a young girl growing up in Minnesota, Jody began singing for family events and was later encouraged in high school to develop her voice further which resulted in numerous vocal awards. Over the years she participated in various choral groups in Minnesota, Phoenix, AZ and Denver, CO and has performed as a soloist for many weddings, funerals and other special events. Jody met Jeff in the 90's when they began playing for backyard BBQ's, church and charity events. Her lifelong dream of being part of a band was realized in 2006 when Jeff approached her with an opportunity to join a new country band and the rest is history. 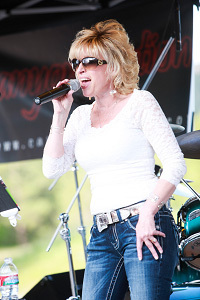 Her musical influences include Martina McBride, Miranda Lambert, Gretchen Wilson, Terry Clark and Patsy Cline. Jody's husband, Paul, has been the sound engineer for Canyon Station for many years and is a major supporter of the band. They live in Castle Rock and have three grown children. Growing up in Lincoln, Nebraska, Jeff was exposed to a lot of music, mostly country, bluegrass and square dance music on a regular basis as his Dad, Harry, was a locally well-known, multi-talented performing musician both competing and judging contents. Through his Navy years in San Diego Jeff got married and played guitar every chance he got, mostly Country Crooners with his friend and mentor Chief Torpedoman, Bill Hutchison. After 5 years in Seattle, 2 kids and a move to Denver, Jeff was introduced to a style of guitar he hadn't heard yet by new friend and mentor, Curtis Turner. This new style was Flat Picking and Jeff competed 3 consecutive years (04-06) in the National Flatpick Championship held in Winfield, KS. His major musical influences besides family are Merle Haggard, Steve Kaufmann, John Cowan, Dan Crary, Tim O'Brien, Charles Sawtelle, LeeRoy Parnell, Randy Travis and the Eagles. Residing in Centennial, CO, Jeff is married to Karen (Webster) Schaeffer and enjoy the musical endeavors of their two college-age kids, Ray on bass and Sarah on strings and ... banjo. 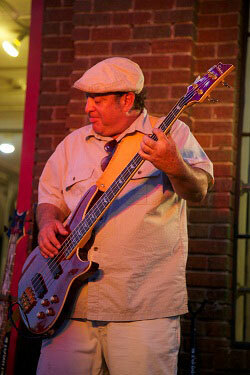 Kenny began playing bass at age 10, taking lessons from various musicians and forming his first band at age 13. By age 16 he was jamming with a hard rock band, playing primarily at school dances. The band eventually got off the ground and was being booked by three agents and even had a manager. After that ended, Kenny played with several more rock bands, but soon wanted to experience something different in the music world. At 26 Kenny joined a 50's band and enjoyed that for the next 2 years. From there Kenny made his way to country. Over the years, he played in several country bands, even making several professional recordings. Through his days playing country and bluegrass, Kenny met up with Jeff and decided to continue the country dream. Tom’s been having fun with music since he was a kid. Always a hobby, never a job – has kept that fun in it. A multi-instrumentalist with keyboards, guitars, and banjo (does the Uke count? 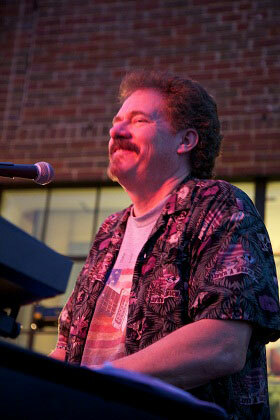 ), Tom was a founding member of Canyon Station some years ago along with Jeff, Jody, and Kenny. He played with the Front Street Blues Band throughout the front range for several years, and recently took a few years off to get back into another lifelong hobby - stock car racing at Colorado National Speedway with his son, Jax Hughes – Super Stock 51. Nowadays, with a little more free time, Tom has been invited to come back and have some fun with some old friends! 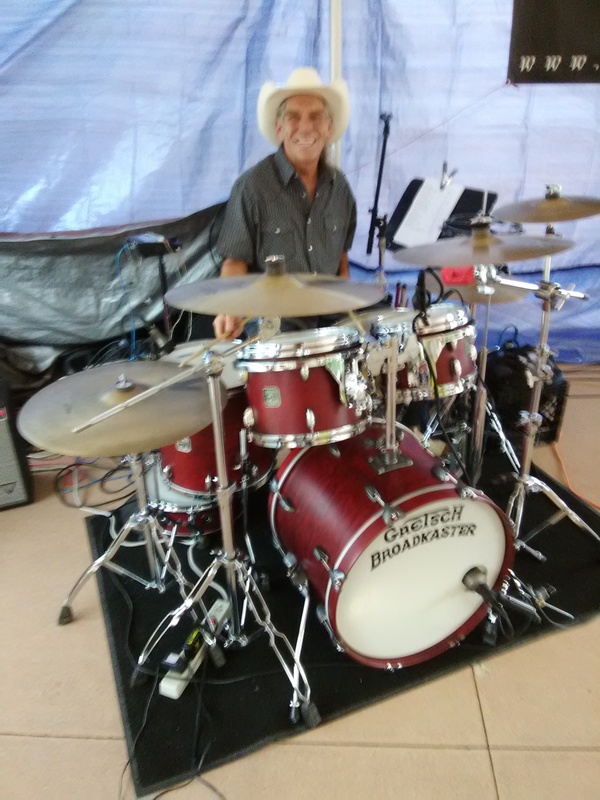 Curtis Turner was one of the original members of Canyon Station back when we started out in 2006. He passed away January 6, 2015 from a combination of leukemia and multiple myeloma. He had undergone a stem-cell replacement almost exactly 5 years prior and was hoping to repeat the procedure when leukemia cut his life short. Curtis was quite simply "jolly". On stage, he was the guy in the back with the never-ending, infectious grin. He was quick with a kind word, a friend to everyone he met and a strong family man. We heard all about the "Turner Reunions" at band practice and he treasured his family... and his friends. We also heard all about his friends and the music of Winfield where he and his fellow "Duck Farts" camp/festival every 3rd weekend in Sept. Whatever Curtis was doing it usually was accompanied by music, whether it was Doc Watson, Tommy Emmanuel or Hot Rize, his iPod was always busy. We created the section "Gone, but not Forgotten" to commemorate his spirit... which anyone who ever met him could never forget. He loved playing with Canyon Station and we loved him and although he'll be missed, his spirit will always join us onstage.